Citizens of Association of Southeast Asian Nations (ASEAN) member-states are not required to obtain visa to visit other ASEAN countries. So, Philippine passport holders need not worry about getting a visa to enter Singapore if intended stay is within 30 days. For other nationalities, you may check here whether or not you are required to obtain visa to visit the city-state of Singapore. Singapore is a good 3 ½-hour flight from the Philippines. You may take off via daily direct flights from Manila, Clark or Cebu. While less frequent direct flights are also available from Davao and Iloilo. Arriving at Singapore, you will definitely be landing at the Singapore Changi Airport (SIN), which is consistently ranked the “World’s Best Airport” by Skytrax. Changi is also one of the busiest in the world by passengers and cargo. It is the main hub for Singapore Airlines, Scoot, Silk Air and Jetstar Asia Airways. Economy class roundtrip tickets from the Philippines will set you from PHP6,000 all the way to approximately PHP15,000 depending on your airline and the schedule of travel. Promotions on airfares are frequent in this route so there’s a great chance of scoring a good deal for your flight. Train: Transfer at the Tanah Merah station for journeys to and from Changi Airport via MRT. A trip to downtown Singapore, say alighting at Dhoby Ghaut station, may take around 45 minutes. Earliest train from Changi departs around 5:30AM to 6AM, while last train departs Changi Airport station at around 11:15PM. Bus: Public buses to the city may be found at the bus stops at the basement bays of the airport terminals. Bus service 36/36A will take you to the city which would cost around SGD2.50. You may use the EZ-Link card or pay the exact amount since no change will be given. Bus operations start at 6AM and ends just before midnight. Airport Shuttle: You may take shuttles to your downtown hotel. They are available every 15-30 minutes. Bookings are available at the arrival hall with tickets at SGD9 for adults and SGD6 for children. Taxi: Of course, taxi fares are charged by the meter. Flag down fare is at SGD3 to SGD5. Waiting time and airport surcharges also apply. But this is a faster option to get to the city taking only about 20-30 minutes. Car Rental: You may rent a car from you preferred car leasing companies. Avis, Budget and Hertz have car rental counters at the arrival halls. Ridesharing apps: Grab and Uber dominate the ridesharing scene in Singapore. Take a pick and you will surely get to your hotel in no time. To get around the Lion City, you need to get an EZ-Link card which may be used for travel on MRT, LRT, buses and even taxis. This is a great way to save some dollars on your transportation. EZ-link cards can also be used in a number of restaurants and shops for a cashless transaction. These are available at MRT stations, bus interchanges and 7-Eleven stores. You can purchase the card for SGD12 which comes with a stored value of SGD7. The remaining SGD5 is the nonrefundable card cost. 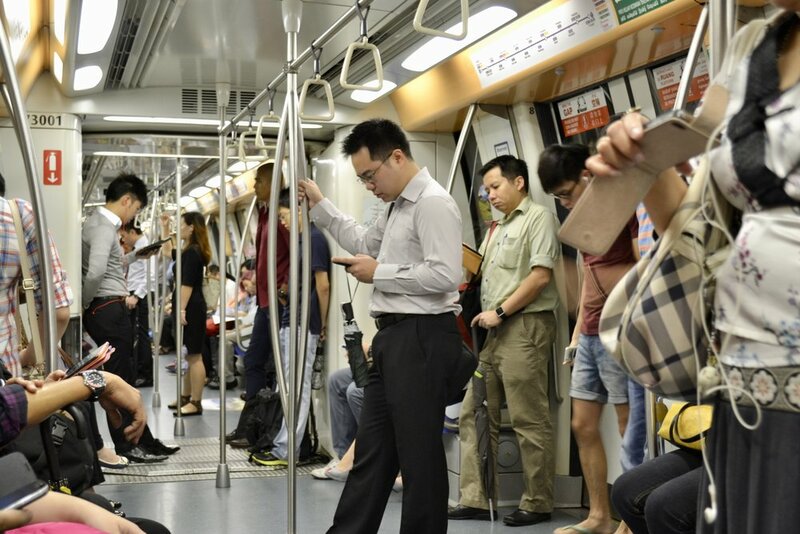 Train: Singapore’s train system is convenient, fast and clean. This is probably the easiest and most reliable form of transportation to get around the city. Train rides are also affordable. For instance, a one-way trip from Orchard Road (Dhoby Ghaut station) to Gardens by the Bay (Bayfront station) would just cost SGD0.87 with EZ-Link or SGD1.60 for standard ticket. Buses: An alternative to the MRT/LRT are the single or double decker buses that are operated by various companies. Singapore has a comprehensive bus system with various bus types depending of the area they service. For more information, you may check here. 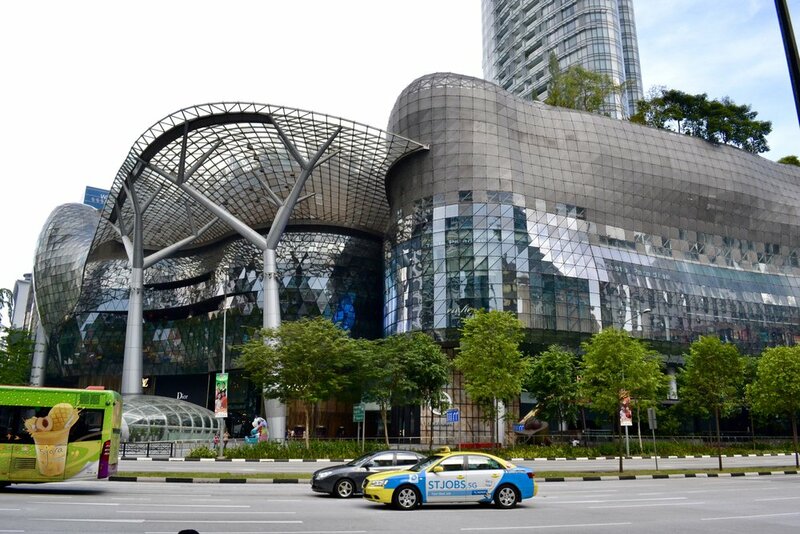 Taxi and ridesharing apps: If you are not fond of familiarizing train stations and bus stops, cabs and ridesharing apps are your best bet for transportation in Singapore. Grab and Uber are the popular ridesharing communities in the city. The Singapore Dollar is the currency used in Singapore, symbolized as SGD. Know the latest exchange rate with your home currency here. The power plugs used in Singapore are the Type G sockets. It has a British origin and has no alternative plugs. So, plan accordingly. At the top of my recommendation would have to be a ride on the Singapore Flyer. Forming part of the Marina Bay skyline, this observation wheel has 28 capsules each giving breathtaking views of downtown Singapore. A 30-minute rotation costs SGD33 for adults, SGD21 for children aged 3-12 years old and SGD24 for senior citizens. It is open daily from 8:30AM to 10:00PM. Take Exit A from the Promenade Station and a five-minute walk will take you to the towering Ferris wheel. Perhaps the most spectacular showcase of the marriage of nature and modernity in Singapore is the Gardens by the Bay. 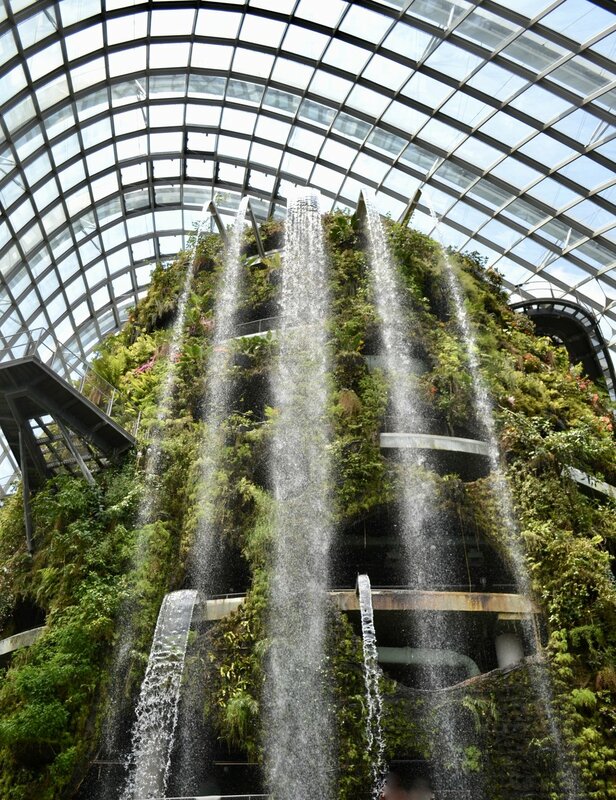 This 101-hectare nature park is home to the Cloud Forest, Flower Dome and the instantly recognizable Supertrees. Tickets to the Cloud Forest and Flower Dome are sold for SGD28 for adults and senior citizens and SGD15 for children. To get to the Gardens, alight at the Bayfront station and take Exit B. The National Museum of Singapore houses a vast collection of historical artifacts, art pieces, as well as installations, even performances. Learn about the history and culture of the Red Dot – how Singapore is fondly called – and discover how progressive this country is even in its early days. Nearest bus stops are the SMU bus stop 04121 and the YMCA bus stop 08041. If you prefer the to take the train, alight at either Bras Basah station (Exit B or C) or Dhoby Ghaut station (Exit A). Both stations are a 5-minute walk away from the museum. Admission fees to permanent galleries will cost you SGD15 for adults and SGD10 for children and senior citizens. 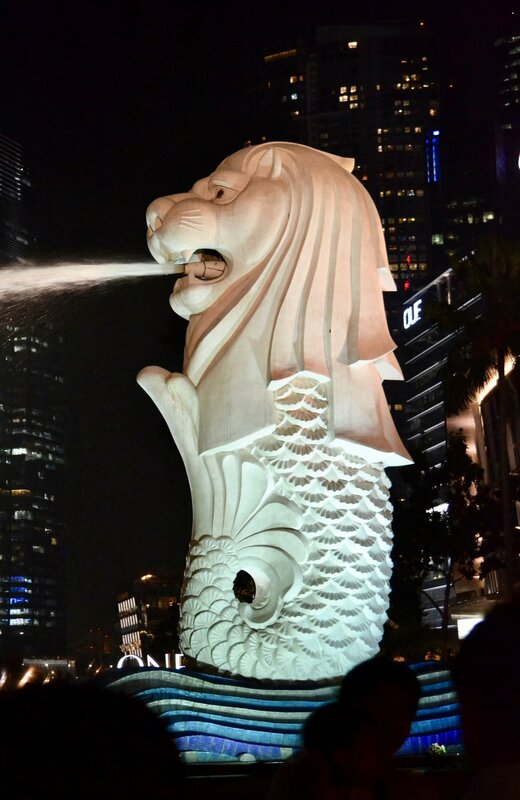 A first-timer’s trip to Singapore would not be complete without a visit to the Merlion Park. The park not only allows you to get up-close with Singapore’s icon (and its cub at the back) but also gives you a view of the Marina Bay. This is also a good spot to watch Spectra – the nightly light and water show from the Marina Bay Sands. Nearest MRT station is the Raffles Place station. A 10-minute walk along the Battery Road to the Fullerton Road will take you to the park, which is totally free to see. The Marina Bay Sands is definitely hard to miss when in town. This iconic and extraordinary megastructure is pretty much the centerpiece of the Singapore cityscape. The resort complex includes a hotel, convention center and a shopping mall. The Sands Skypark Observation Deck is a must-visit should you (and definitely will) want an excellent view of the Singapore. The complex also boasts a number of celebrity chef restaurants. Surely, it’s not difficult to break the bank when in MBS. The Bayfront station is linked to the complex. Also at the Marina Bay Sands resort complex is the lotus-shaped ArtScience Museum. This architectural wonder is perfect for kids and adults alike. Standard tickets start from SGD17 for adults and SGD12 for children and senior citizens. The museum is at the north promenade of the MBS and just near the Helix Bridge. One of the best ways to immerse in a culture is through the food and there’s no better place to indulge in Singaporean cuisine than at any of the hawker stalls. Not to mention, the food here is affordable. One of the well-known hawker hubs is the Maxwell Road Hawker Centre where you’ll find the Tian Tian Hainanese Chicken Rice stall which has the Anthony Bourdain seal of approval for the best chicken rice in Singapore – so you should expect a long queue. Of course, thou shall also not miss the famous chili crab, laksa, and chicken satay. The Maxwell Road Hawker Centre is a 5-minute walk from Exit G of the Tanjong Pagar station. The people of all ages will definitely love a day or two at Resorts World Sentosa. This integrated resort is home to top attractions like Universal Studios Singapore, S.E.A. Aquarium and Adventure Cove Waterpark. There are tons of restaurants around – from fine to casual dining – catering various cuisines. The complex also has a casino, spa and a number of bars. There’s surely something for everyone here! To get to the resort, make your way to the HarbourFront station. Taking Exit E leading to VivoCity, head to the 3rd level and board the Sentosa Express. Take a night out at Clarke Quay – an excellent hub for dining, clubbing and people-watching. You may take an afternoon stroll and a few shopping here and there. At night, grab some drinks and hit one (or two) of the clubs in the area. If you’re feeling a little bit adventurous, take a spin on the G-MAX. Alight at Clarke Quay station and walk for about 5 minutes to get to the area. Alternatively, you may take the bus or the river taxi. Clarke Quay is free to see but costs of purchases vary. A true melting pot of cultures, Singapore managed to retain its heritage despite its modernity. Testaments to this are thriving cultural hubs – Chinatown, Little India and Arab Quarters. In the colorful Arab Quarters, the creative and vibrant Haji Lane attracts visitors for its colorful graffiti walls and up-and-coming shops. Admire at the charm of Masjid Sultan Mosque and, perhaps, own one of the Persian rugs sold along the sidewalks. Get off Bugis Junction station and take Exit B. 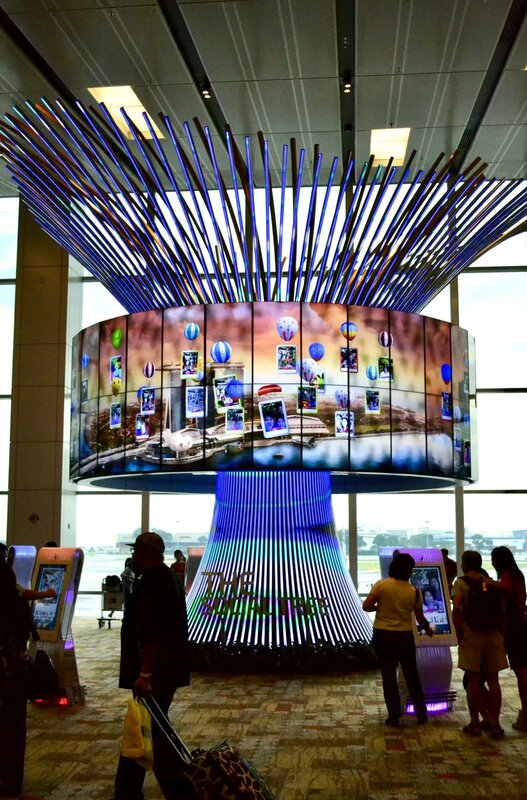 If you have a few hours to spare, I also recommend that you to arrive early and explore the facilities of the Changi Airport. The airport provides tons of recreational activities for passengers making it an attraction in itself. It is not the world’s best airport for nothing. Changi has a movie theater in Terminals 2 and 3, a swimming pool in Terminal 1 and spa in all terminals. Even the kids will have a fun time with The Slide@T3, playgrounds and the butterfly garden at Terminal 3. Of course, the shopaholics won’t leave empty-handed with the vast selection of retail outlets to choose from. The heart of the retail experience in Singapore is probably the Orchard Road. Stretching more than 2 kilometers, this boulevard is lined with megamalls, boutiques, restaurants and hotels. The architecturally distinct ION Orchard and the high-end Paragon Shopping Centre are just a few of the main players in the strip. To get to Orchard Road, you may alight at Orchard station, Somerset station, or Dhoby Ghaut station depending on which part you intend to go. Continue your deluxe shopping extravaganza at The Shoppes at Marina Bay Sands. More than 300 outlets and boutiques will compete for your attention and your bank account. Operations start at 10:30AM and end around 11-11:30PM. The mall is free to explore but the cost of purchases is nowhere near being free. If the previous ones don’t satisfy you enough, then, by all means, head to VivoCity – the largest shopping mall in Singapore. More than just a shopping mall, it is also a true entertainment complex with 15 cinema screens, playground, art gallery and amphitheater, among others. Alight at the Harbourfront station to get to VivoCity. An alternative to the fancy shopping experience at the big malls is the quirky Haji Lane, wherein shops lining the alleys sell fashionable clothing and accessories at decent prices. Cafés and bars also operate alongside the boutiques. 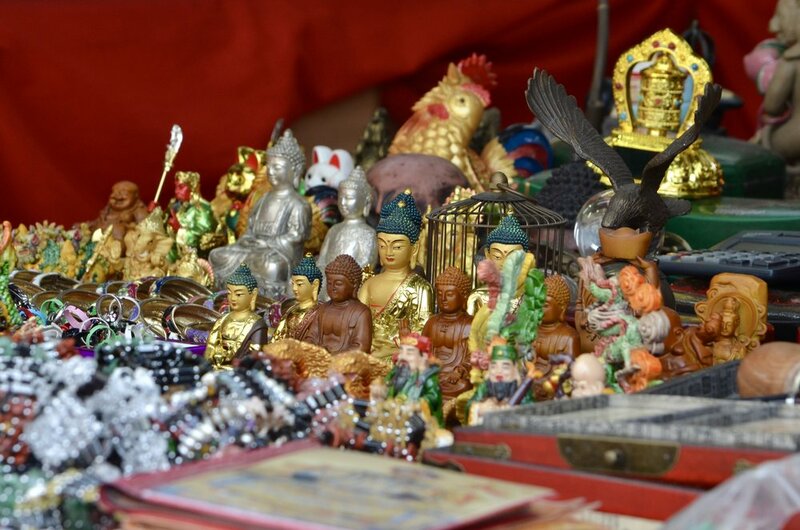 For affordable finds, Chinatown and Little India are your go-to places. Heaps of stalls selling various items from knick-knacks and souvenirs to herbal medicines will greet you at Chinatown Street Market. There’s also no short of art, antique and ornaments in the area. Take Exit A of the Chinatown station. And finally, the well-known 24-hour mall in Little India, the Mustafa Centre. Name it and Mustafa Centre has it. You can find anything from electronics and bags to jewelry and textile at a very low price. But I, personally, wouldn’t trust that these are all genuine. The place may be crowded and chaotic at times but I guess this is what gives this place its character. Alight at Farrer Park station and take Exit G. A 5-minute walk will lead you to Mustafa Centre.